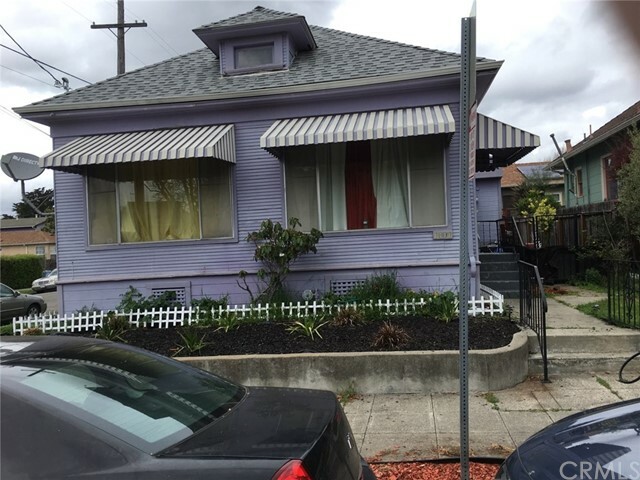 All Berkeley homes currently listed for sale in Berkeley as of 04/19/2019 are shown below. You can change the search criteria at any time by pressing the 'Change Search' button below. "Owned by same family for over 50 years, this Mid-Century Modern has stellar views and overlooks the beautiful John Hinkel Park. Situated on a special block in the Thousand Oaks area with other architecturally significant mid-century residences, every corner of this home offers ultimate privacy with landscaped hedges, established magnolias and dramatic unobstructed views of the Bay, San Francisco skyline, Mount Tamalpais and the Bay Bridge. A lower level office has walls of bookcases, views and possible in-law/au pair development. A stair from the living room leads to an amazing upstairs room with more built-in bookcases and a stunning view deck. Views: Downtown"
"Enjoy the perfectly framed view of San Francisco from this special private sanctuary. Nestled above scenic La Loma Park and built in 1955, this mid century masterpiece was thoughtfully designed by renowned architect Gerald McCue. This classic piece of Berkeley history sits on a double lot and is all on one level with clean mid century lines and seamless indoor - outdoor flow. Main house has 4 bedrooms and 2 bathroom with magnificent views from every room. Kitchen looks out to beautiful garden patio and eating area. Separate studio/office with kitchenette* and full bath, below two car garage. Property opens to La Loma Park. Extremely special setting. Convenient location: 5 minute drive to North Berkeley shops, just 1.3 miles. Close to U.C. Berkeley Campus 1.5 miles but feels a world away! Several magical parks, special views and paths to enjoy close by." "Located in Berkeley s hip Westbrae neighborhood, this comfortably chic 3 bdrm, 2 bath California Craftsman will captivate you with its invigorating style. Natural light, open spaces, hardwood floors and stylish, remodeled spaces invite you in. Watch the sunrise over looking the back yard from the eat-in kitchen/family room combo featuring Brazilian Koa floors, granite counters and stainless appliances. The living room with original, handcrafted fireplace surround & refinished matchstick hardwood floors is the perfect place to relax after a long day. The large, fenced-in backyard sits conveniently next to the community garden & is the perfect place for gardening & play. The master suite with private entrance opens to the sunny back yard. The remodeled bathroom has an original porcelain tub. An efficient HEPA gas furnace, washer dryer hookups new insulation throughout add utility & convenience. Location, floor plan & comfortable style make this the perfect place to call home."